With its high altitude (1 753 metres above sea level), Johannesburg is notorious for its ultra-dry winters. As you can imagine, this calls for serious, intensive skincare. So when I received a parcel containing Chanel Hydra Beauty Micro Liquid Essence a couple of months ago, I wanted to see if this product could take on the city’s tough winter climate. French beauty vs Johannesburg harshness, if you will. Chanel’s Hydra Beauty line is all about hydrating, protecting and boosting the skin. Chanel Hydra Beauty Micro Liquid Essence taps into the moisturising and energising properties of the camellia, in particular the Alba Plena variety. These are especially cultivated for Chanel. When these flowers blossom, the petals are collected to undergo a process of cold extraction to produce fresh camellia cells. This super-powerful active ingredient, in combination with antioxidant ginger root extract, glycerin and hyaluronic acid, is then stored in thousands of jellified micro-droplets. POWER PETALS: Camellias were Coco Chanel’s favourite flower. “White Camellia” by Georgia O’Keeffe. I used Chanel Hydra Beauty Micro Liquid Essence for a period of six weeks in Johannesburg’s mid-winter. It’s been a long time since I have enjoyed using a skincare product so much. This has a lot to do with the application process when dabbing the product on the forehead, cheeks and chin. The micro-droplets containing the fresh camellia cells and other powerful active ingredients are broken and distributed over the skin. It’s a very fresh sensation and I could feel my skin lapping up the goodness on each application. So Chanel Hydra Beauty Micro Liquid Essence feels wonderful on the skin. How did it perform against the city’s winter? I was sceptical at first, but should have known better, as Chanel invests heavily in the science of beauty. Several people remarked during the time I used this product how “good” my skin was looking. Mirror time confirmed that my skin was looking surprisingly hydrated and invigorated for this time of the year. 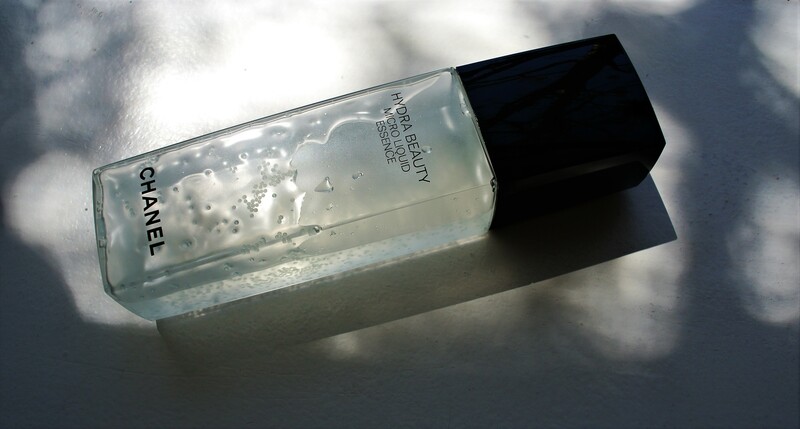 Sure, this product is pricey, but it delivers on its claims and feels like liquid indulgence. Chanel Hydra Beauty Micro Liquid Essence, R1 635 for 150ml. Levels of work pressure and stress were particularly high recently. So when an ex-GF from many lifetimes ago invited me to join her at her apartment on the coast for five days, it was an offer I couldn’t refuse. I last had a getaway about a year ago with my father and sister (read here), so the need to escape was über urgent. Besides, it was the perfect excuse to bring along some fragrant friends, including Dolce & Gabbana Light Blue EDT and Dolce & Gabbana Light Blue Pour Homme EDT. Not to mention a whole slew of other fragrance finds for photographic purposes. The destination? La Mercy on South Africa’s east coast in the province of KwaZulu-Natal (see map below). La Mercy is a pretty insignificant village, apart from its location near King Shaka International Airport. The economic hub of Durban is 35km away and it’s situated half between the increasingly built-up towns of Umhlanga and Ballito. This lack of an urban buzz suited me just fine. The ride down on the Friday was uneventful – and long. Respect to my dear friend, who must be the most traffic-law abiding citizen in South Africa. She didn’t drive faster than the speed limit once, much to my impatience. We arrived at night, so my first view of the sea in years would have to wait till the morning. See below. But the sound of the Indian Ocean pounding away that night was therapeutic enough. The next day, before I could slip into lazy mode, I first had to fulfill my duties as my friend’s plus one at a wedding of her close friend from our clubbing days. The nuptials were a charmingly casual affair, complete with barefoot ceremony in a sandpit. While we both struggled with the “beachy” dress code (Sarongs? Swimwear? Shorts? ), I had no hesitation choosing my wedding fragrance. BEACHY DRESS CODE: Looking for inspiration. Created by Carlos Benaïm, Frederic Malle Music For A While has been my most complimented fragrance for a long time. Can’t say I am surprised, as this EDP opens with a beautiful bouquet of lavender, supported by citrus and anise notes. There’s an assortment of sweet notes, including pineapple, sugar, caramel and fruit. Sounds overpowering, but the master perfumer keeps it light and airy. And the patchouli base tempers the effect. The next four days were just what I needed. Lots of horizontal time in bed, interspersed with walks down to the sea and along the beach. After all, the beach was less than 100 metres from entrance of the apartment complex. These strolls yielded soothing, salty breezes and time to clear the mind. August is a winter month in South Africa, with temperatures hovering below 20°C, so I was very content to have seemingly kilometres of beach mostly to myself. Even in this relative solitude on the beach, I found many signs of humanity. The worst, of course, being plastic pollution. The best being this relic from a recent religious ceremony. I have always had a thing for religious iconography, so it brought a smile to my face. And while I was tempted to take it with me, my better judgement said leave as is. And what about my fragrant Dolce & Gabbana Light Blue friends? I deliberately brought these with me, as both are justifiably considered modern summer fragrance classics. I got to experience them, though, in a completely different context, sans Mediterranean Sea, blistering heat and David Gandy. Dolce & Gabbana Light Blue EDT was created by top perfumer Olivier Cresp (read my interview with him here) and launched in 2001. It’s a great example of how to create a fruity floral with a fresh citrus twist, without assaulting its wearer and everyone else in its immediate vicinity with its presence. Stand-out notes in this EDT include Sicilian cedar, apple, bamboo, jasmine and musk. Fresh and sensual at the same time, little wonder it was inducted into The Fragrance Foundation’s Hall of Fame in 2016. Its compagno, Dolce & Gabbana Light Blue Pour Homme EDT (launched in 2007), has a similar effect, but with a citrus aromatic profile. Which means splashes of bergamot, Sicilian mandarin, grapefruit and juniper in the opening. After that, I can pick up a strong sprinkling of Sichuan pepper, with hints of musk and incense towards the end. It’s an uncomplicated, uplifting scent and so easy to wear.